There's a whole new world out there! I was reading some stuff about looking at your Pinterest stats to see how many people were visiting and what boards they were looking at and engagement and all manner of interesting information. So I thought I must have missed something. I looked everywhere and couldn't find any stats to view for my page. Time to see where I was missing the boat. The first thing I did was finalize my blog verification for Pinterest - something I didn't know how to do until I saw this excellent post by A Royal Daughter and bang! it was done in two minutes flat - thank you Amanda! Then I did what every not-so-cyber-savvy person does......I googled Pinterest Analytics and it showed me where to go to look at my stats in the drop down box under my name - only problem was that there was no "Analytics" tab anywhere in sight under my name! Holy Moly I am so excited - so now I just have to wait for some people to come along to my page (feel free to stop by) and look at my stuff and I'm off and running! My Pinterest page will always be a mix of all the things I find interesting or pretty and a bit about blogging - I never want to sacrifice the pleasure I get from it so I can turn it into a traffic driver, but I could probably use it more effectively so I'm now on a bit of a mission. I also discovered the "Make a widget" button and have had a play around with that too - so much to learn in the big wide world of the internet! I've been looking for something like this! I have needed to verify my website for a long time! Thanks! 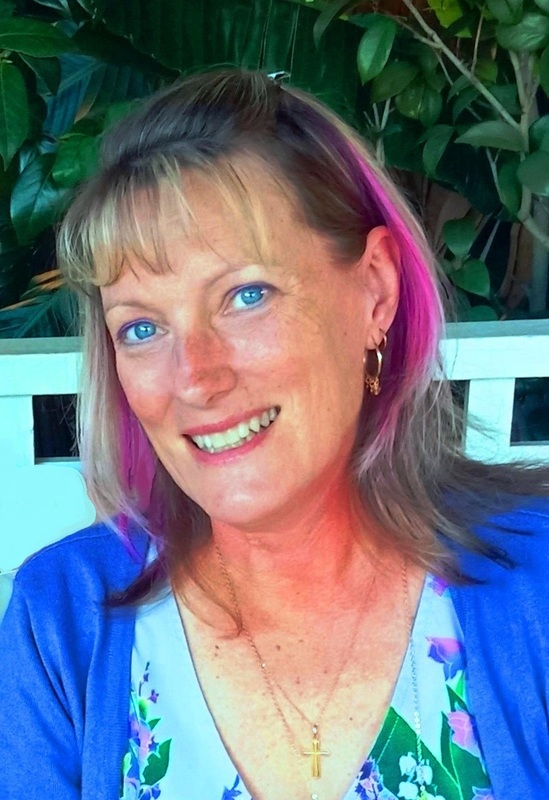 glad I could help Rena - it was amazingly simple once I understood what I'd missed doing. Now I just have to figure out the analytics reports! I feel like every time I think 'okay, I've got this down,' someone will show me one more thing. I wish Pinterest made it easier to understand their site and pinning in a social media savvy way. Me too Kim - I now have a whole lot of data and I'm having to google what it means - not sure if it helps or not but at least I can see it now. Aren't you just a tech wizard! I found the process of being verified as a business page to be very challenging. Turns out the trouble was not with Pinterest but with the coding on my host site. Had to roll up my sleeves for an entire afternoon. Gak! These platforms don't always play nicely in the sandbox. I'm glad mine was easy Mithra - seeing I gave up on the first hurdle of verifying my website the first time round, I was glad it got easier once I looked in the right places. sorry yours was tricky! I don't blame you Suzanne - I'm still finding my way around everything and if Pinterest tries to pull anything like that on me then I will shift my boards to a personal page again and leave them in my dust! I will have to try this. I had tried to make a separate biz account but it kept defaulting to that instead of the personal account. I cancelled it, so I'm a little skeptical of converting. I was the same Terri - I deleted the one I tried for my blog but changing my personal one to business has made no difference to it at all - except I can now see the analytics! Great info Leanne! It seems there is no end to the learning to be done. I do have a business page and my website verified, so will be checking this out later today. Hope you find it as interesting as I did Kimberley - and you can make some sense of it all! I check my Pinterest Analytics a lot. It gives you a great idea on how to deal with the platform for better results. I assume that I am an analytics freak and that is one of the reasons I decided to put together the hangout next Monday. I wish I was a bit more savvy at times Deb but hopefully I'll get there eventually. Leanne!! You are adding to my "to-do" list!! 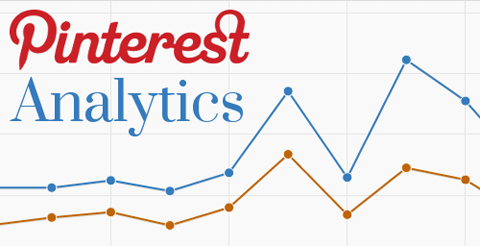 ;-) Pinterest has analytics -- who knew?? Okay, pinning this to my "blog to-do" board and Evernote list… Thanks for the info! glad I could be of help Wendy - it was good to find out that it wasn't too tricky to do - I get a bit freaked if there's html and stuff! This is good to know, I have already verified my account as a business account but need to go in and figure out the analytics part. I had a look at mine Charissa and it's interesting but I've got to work out what it all actually means now! Good stuff Leanne. Whatever we use Pinterest for I hope we all enjoy it. Optimizing for traffic does not have to mean that you sacrifice pleasure or don't enjoy it. The blogger I referred to in my Pinterest post was homeless with 2 children just three years ago. She is now financially comfortable, through her efforts on her blog. She of course is optimized for traffic. She also uses her blog to help others which brings her much joy. We can do as we like or enjoy on our own boards. If we choose to join a group board then we have some responsibility to that group. What we do on that board does affect others. All Group boards have rules, that does not take the fun out of Group boards. Enjoy your analytics they can be fun too, if we don't obsess over them. Like Debbie says, we can learn a lot from them. I am leaving from another page to help your GA. Because I enjoy helping others too. Very good points Kathleen - and I totally agree about group board etiquette! thanks for stopping by Sue - the extra stuff does my head in at times but I am trying to be a little more intentional in my use of Pinterest. 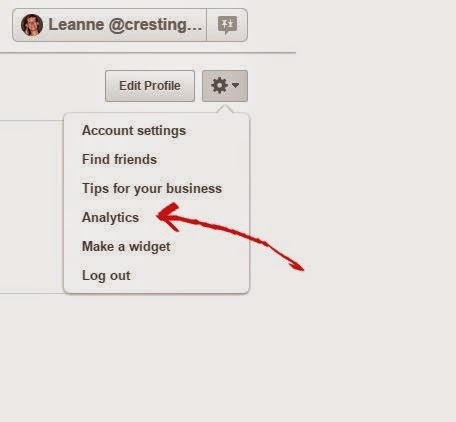 I love Pinterest analytics and the business account. It definitely opens up the door for more accessibility. Thank you for sharing this at #AnythingGoes. Leanne I am very pleased to say that this post was the second most clicked in Fridays Blog Booster Party#7 So it will be featured on Friday. Well done. I had no clue! Thanks for opening my eyes!